We’re all about serving our customers; end users, general contractors, builders, business owners, architect firms, interior design firms and project consultants. Our passion becomes evident when given the opportunity to solve your flooring challenges. It’s what we do, day in and day out. Gone are the days when space renovation is affecting productivity, furniture lift systems are an integral part in avoiding costly equipment moves and staff disruptions. 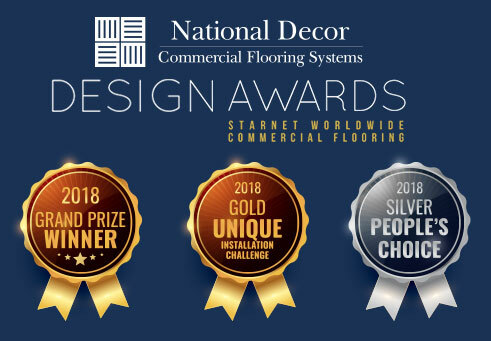 Established in 1985 and equipped with 100 + years of experience from project management to installations, National Decor’s team is constantly looking at better ways to execute every part of our business, especially with accurate budgets and on time delivery. 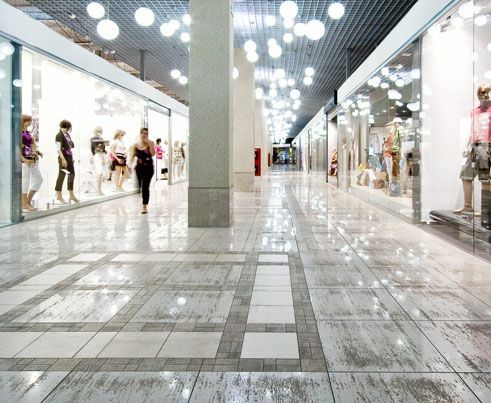 Space has such a story to tell and living and working on the right floor covering can make that story even more exciting. Allow us the opportunity to guide you to the right product for your unique application. Whether it’s simple and practical, wild and creative or soft and subtle, we have the product options you need. Claude was destined to become successful in the construction industry. Growing up surrounded by family active in this industry, he soon took an interest in construction and grew to be influential in the supply side of building materials in the Greater Ottawa area. Evolving from sales roles into management and becoming an integral part in growing one of Ottawa’s largest building supply and specialty building materials provider as a shareholder, Claude relishes the challenges that business can deliver. Claude and his wife Lison purchased National Decor Inc. in the fall of 2015. Giving people the tools to succeed has been and will continue to be one of Claude’s greatest assets as an owner. He nurtures people’s strengths and builds respect with his supplier partners, all with the vision of delivering the best customer experience possible. Marvin Dow started his career as an Civil Engineering Technician preparing AutoCAD drawings and conducting site inspections for engineering and building projects. He has earned his Civil Engineering Degree B. Eng. and Masters in Construction Management M. Sc. and has also attained his PMP, GSC and LEED Green Associate Certifications. Over the past 10 years, he has held progressively more senior positions in construction including Construction Engineer, Project Manager and Senior Project Manager. Marvin, now a Senior Project Manager at National Decor since January 2011, is managing multiple projects throughout the city. As a young boy, Mike’s father would bring him out to work with him to sweep the floors and help prepare the surfaces for new installations. He developed a unique understanding of the products performance ability by touching it and working with it. Not too many people in project management can literally say they’ve earned their mark from the ground up like Mike can. Mike’s transition to project manager was a natural progression from 25 + years as a professional floor covering installer, allowing him to leverage his “real site” experience in preparation of your project estimate. Specializing in seniors’ residences and medical care facilities, including hospitals, clinics and doctor’s offices, Mike can assist you in planning and executing any project, at any stage you’re at. When not meeting with clients or architects on site, Mike can be found close to nature, fishing, back country camping, hunting and in the winter, enjoying a snowshoe walk through mother nature’s trails. As one of the few Ministry of Training, Colleges and Training Certificate holders in the Ottawa region, Bob has likely installed and supervised the largest amount of square footage of floors in the Ottawa area. Since 1986 Bob has been leading teams at National Decor in executing some of the most captivating projects throughout our region; Nortel, Carling Square Towers, 90 Elgin and Constellation Building, just to name a few. Bob can work with all material types, has every Health and Safety related course, is “secret security” cleared and is finalizing his drive for Red Seal certification. One word defines Dany, detail! From his years to fabricate and supervise million square foot projects, Dany can be relied on for his passion of bringing a project through the end. He knows what a good installation looks like and won’t let a job finish without meeting that expectation. His varied experience in condos, schools, airports and long-term care facility projects gives him the leverage and understanding of what to prevent and what to expect. Your project will come in on time and on budget because Dany delivers.